I wasn't really sure what to expect with this. All I really knew was that it was a collection of poems that was released very recently and that it was about 'coming of age in the modern world' but I have to say, I did enjoy reading it! It's a very short collection and the poems are the lovely kind of poetry that is easy to read but still leaves you thinking after. You could easily read the whole collection in one sitting (which I did) without feeling overwhelmed by it as sometimes happens with poetry and it's a great break from novels if you find yourself falling into a bit of a reading slump. I read this book in ebook format and I found myself highlighting a lot of little phrases and passages that I wanted to remember later, which I always think is a sign that I'm enjoying something. It was a really easy read but still left me thinking about the words which I thought was lovely. The language used is simple but the phrasing of it is beautiful, meaning you're aware of what the poet is trying to express but it is far from boring. 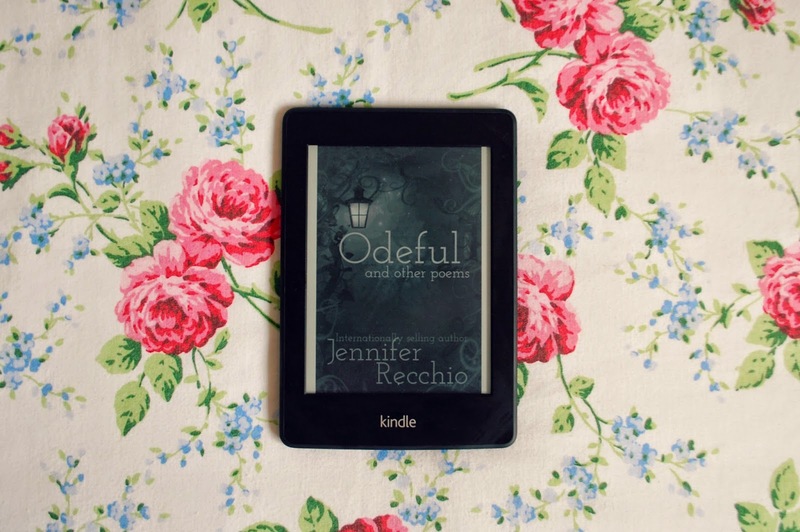 Have you read Odeful or any similar collections of poems you think I'd like? Let me know in the comments!